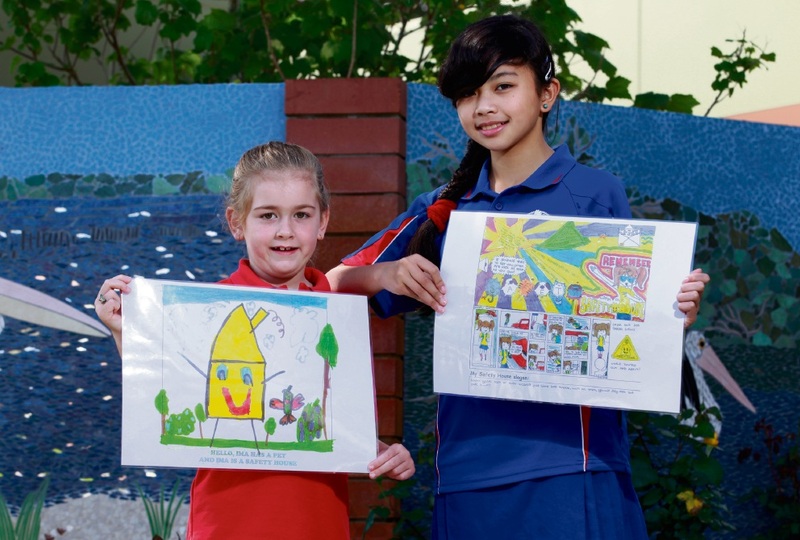 TWO Shelley Primary School students have won their age categories in the Safety House art competition, aimed at helping children identify safe spaces within the suburbs. Every year primary schools all over Western Australia celebrate the Safety House program in their local communities in the art competition. Paige Ogden and Michaela de Luzuriaga won the Year 1 and 6 categories respectively, each capturing a contemporary way to spread the Safety House message. Michaela’s diverse elements comic strip supporting the child safety message will be the centrepiece of the 2017 Safety House poster. From nearly 2500 entries across all primary school age groups, each of eight winning student artists were applauded at their school assemblies and awarded their certificates and cash prizes. It is easy to be a Safety House, it costs nothing and people could be doing something important to help protect vulnerable young children in the community.